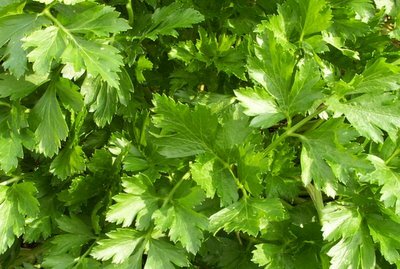 I don't know what I would do without Italian Flat Parsley in the garden. It is easy to grow, happily tolerates heat, cold, and drought (this healthy plant survived twelve degrees F the other night covered with just an old quilt), and adds a flavorful touch to so many foods. Parsley: it's not just a garnish! Don't have a pet to post? Join us for Weekend Herb Blogging! Hosted each week by Kalyn's Kitchen, it's a fun way to learn about interesting herbs & edibles and discover yummy food blogs. Just photograph and blog about an herb, plant, veggie, or flower and send Kalyn the permalink by Sunday afternoon (Utah time). The round-up of all the featured plants is published each Sunday night.